The Seamen’s Hospital Cebu announced a limited operation of the Sailor’s Home facilities inside their compound to give way to improvements being implemented. 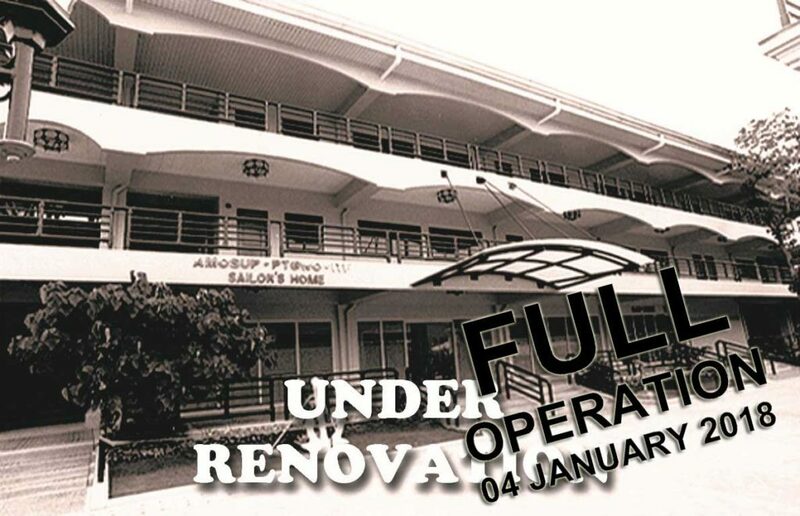 Opened since 2003 the Cebu Sailor’s Home is scaling down operation to accommodate the repair, renovation and improvement of its facilities. Work on the sleeping, toilet/bath facilities on the 3rd & 2nd floor of the building housing the facilities have started leading to a decrease in the number of members that can be accommodated daily. Roughly 30 sq. meters of the existing floor area has been allotted to a TV Lounge and a separate Study Room in response to the requests of the members. A Laundy/Drying Area is also being planned. The union’s Multi-purpose Hall and the Slop Chest facilities located on the 1st floor of the building are also earmarked for renovation. The Sailor’s Home Cebu reported an increase in number of members utilizing the facility due to an increase in the number of manning agencies that have opened manning agency branches in the city as well as an increase in number of members attending review center in Cebu rather than going to Manila. The Sailor’s Home is a dormitory facility being utilized by members who are embarking, disembarking, attending to documentation requirements, studying, reviewing, available free-of-charge to Amosup members located in Intramuros, Cebu, Iloilo and Davao facilities of the union. The Cebu Sailor’s Home expects to be back in full operation by mid-November 2017.